See mateksys.com for more detailed specifications and wiring diagrams. In addition to STD and CTR versions, there are older variants called -AIO and -OSD that have been declared end-of-life by mateksys. Both use the ICM20602 IMU, like the STD version. Neither have an onboard barometer. While the -AIO has I2C pads exposed, the -OSD version does not. For the -STD version please use the MatekF405-STD type firmware. For the -CTR version with MPU6000 please use the MatekF405 type firmware. 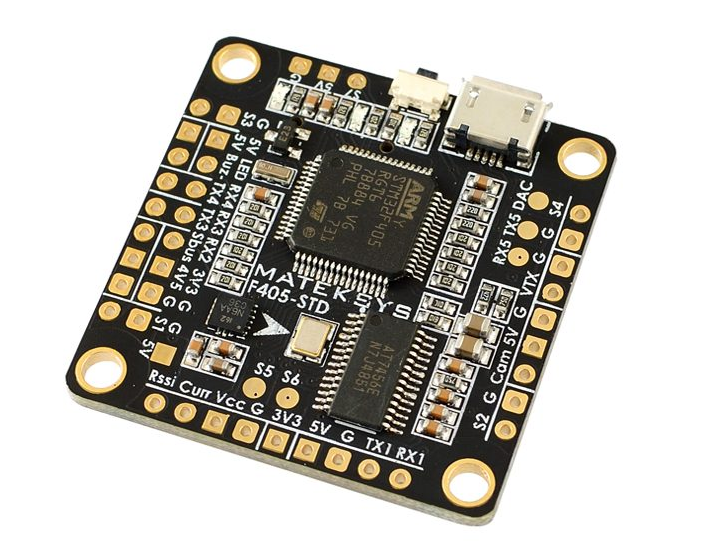 For the MatekF405-Wing which has an essentially different board layout please use the dedicated firmware. Please note that ArduPilot does not support -AIO and -OSD versions per default as additional hardware and / or software adjustments are required. Serial protocols can be adjusted to personal preferences. 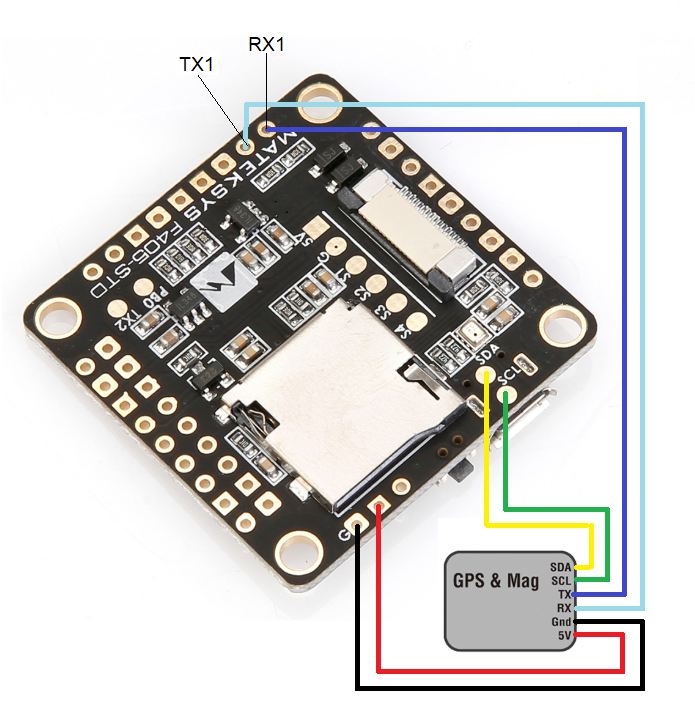 This board does not include a GPS or compass so an external GPS/compass should be connected as shown below in order for autonomous modes to function. A battery must be plugged in for power to be provided to the 5V pins supplying the GPS/compass modules. USB power is not provided to peripherals.